Guy Hutchinson, Acting CEO, Rotana. The acting CEO of hotel management company Rotana has said that Abu Dhabi and Riyadh have been two key growth markets during the first two months of the year, citing higher occupancy and room rates, and announced that the firm is piloting a distribution agreement with California-based home renting firm Airbnb in Dubai. The hotel management company, in which Abu Dhabi-based Al Nowais Investments holds a controlling stake, said that during the first two months of the year, it experienced 2.5 percent occupancy growth in Abu Dhabi, 5.9 percent rise in RevPAR (Revenue per available room), and 2.3 percent increase in ADR (Average Daily Rate), in comparison to the same period in 2018, according to a statement issued by Rotana. “Abu Dhabi has had a tremendous first quarter. We’ve seen a lot of support from infrastructure, from government, and a lot of events in the city, such as IDEX, Special Olympics, Asian Football Cup," Rotana's acting CEO, Guy Hutchinson, said at a media roundtable held in Abu Dhabi on Tuesday. “These kind of events are doing wonders for the industry,” he said. This Tuesday, the government of Abu Dhabi announced increasing spending on tourism marketing by $136 million over the next three years to draw more visitors to the emirate. Effective from October last year, Abu Dhabi also reduced tourism and municipal fees charged on hotel stays in the emirate, which is expected to result in one billion dirhams of savings for hotel owners by 2021, according to the undersecretary of Abu Dhabi's Department of Culture and Tourism, Saif Saeed Ghobash. (Read more here). “In addition to the fee reduction, the collection of municipality fees has been revised from monthly to semi-annually, providing owners with increased access to capital,” Christopher Hewett, Director of TRI Consulting told Zawya in emailed comments. “We believe Abu Dhabi will benefit from slightly higher performance levels in 2019 on the back of stronger occupancy levels and a levelling off of room rates. Furthermore, the capital will have limited new supply entering the market which will further solidify stability in the market,” Hewett added. In Riyadh, the firm’s properties reported an increase of 15 percent in occupancy and 48 percent rise in RevPAR during January and February in comparison to same period last year, and room nights (the number of rooms selected multiplied by the number of nights in the period) in Saudi Arabia rose by 15 percent. “We’ve seen growth across Saudi Arabia. Riyadh in particular has performed extremely well, and we’ve seen some green shoots across the region,” Hutchinson added. Hutchinson added that for the second quarter of 2019, “Abu Dhabi will continue to perform well, although the summer months are a bit challenging and we have to remain competitive over those months. We’re seeing strong performance in Oman and in Jeddah,"
“Makkah over Ramadan will always be very good. Dubai will be solid throughout and in the last quarter, we’ve seen a lot of movement in Dubai,” he said. On whether Dubai is moving towards stability in the run-up to Expo 2020, Hutchinson said: “There are 130,000 rooms in Dubai, and the pipeline is up to 180,000. So I think until the market gets into around 170,000, it’ll take two to two-and-a-half years to stabilise, and after that there might be some change. “Even with 130,000 rooms, Dubai is still running at 75 percent occupancy,” he said, adding that the emirate is still among top ten global destinations worldwide. Saudi Arabia is identified as a market with high potential for Rotana, and it is a space that the firm is focused on, according to Hutchinson. “There are some 65,000 rooms across the whole of Saudi Arabia and 35,000 of these sit in Makkah. So the market is really underserved from a hospitality perspective, and we definitely see it as a growth market,” he said. 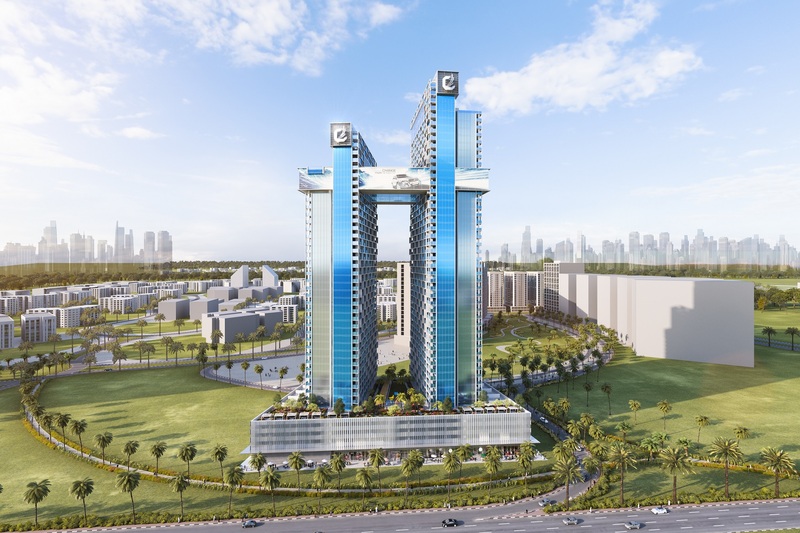 The distribution agreement will start with Arjaan Hotel Apartments in Dubai, according to the CEO. There are currently 3,069 units run by Rotana under the ‘Arjaan Hotel Apartments’ brand. “We’re just establishing the connectivity at the moment, we’ll run a pilot and then we’ll be starting in about four weeks,” he said. Airbnb which was founded in 2008, and was valued by private investors at $31 billion following its last $1 billion funding round two years ago, is expected to file for a public listing in 2019 after managing two successive profitable years, the company said in January. (Read more here). Hutchinson said that only a lazy hotelier would see Airbnb as a disruptor. “Airbnb in our industry is a lesson. Any organisation that can come into what is a mature space and generate sales of 130 million room nights a year, you’ve got to pay attention to it,” he said.